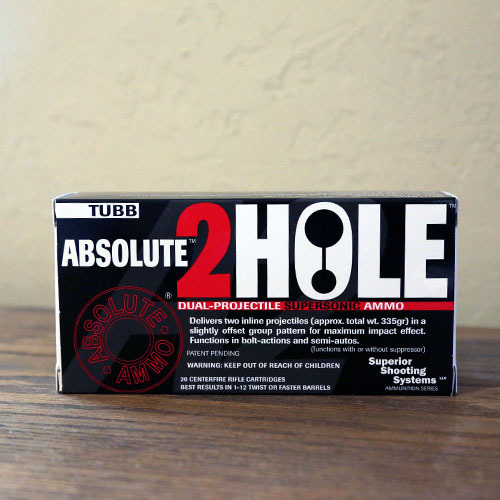 DTAC Absolute 2Hole Supersonic represents a major advancement in extreme impact ammunition. 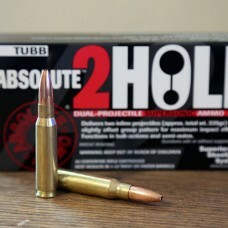 2Hole Supersonic ammo features TWO bullets loaded inline into a single 308 case (combined bullet weight of 335 grains). The leading bullet is a 135-grain thin-jacket, pure-lead-core design featuring a 4-sided hollowpoint: it's engineered for sudden expansion and maximum explosive power. 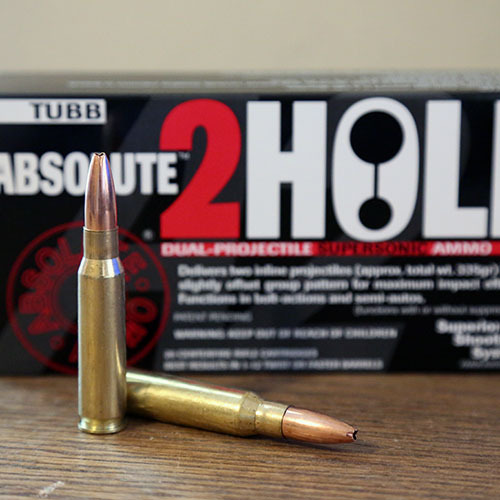 The trailing bullet is heavier, 200 grains, and designed to provide maximum penetration. This combination allows more retained energy to be put into a target. These bullets combine to equal the same muzzle energy as a full-power load using a single bullet. 2Hole Supersonic creates two distinctly separate wound channels, which translates into more energy absorbed at closer range (200 yards or less). Two wound channels create enhanced shock trauma on target. -- it's like getting shot twice at the same time. 2Hole Supersonic delivers on-target accuracy at 300+ yards. This ammunition is designed to function in bolt-action and semi-automatic rifles with or without a suppressor.